This simple and natural DIY beard balm with beeswax is an easy way to craft a handmade gift for that special bearded guy in your life. 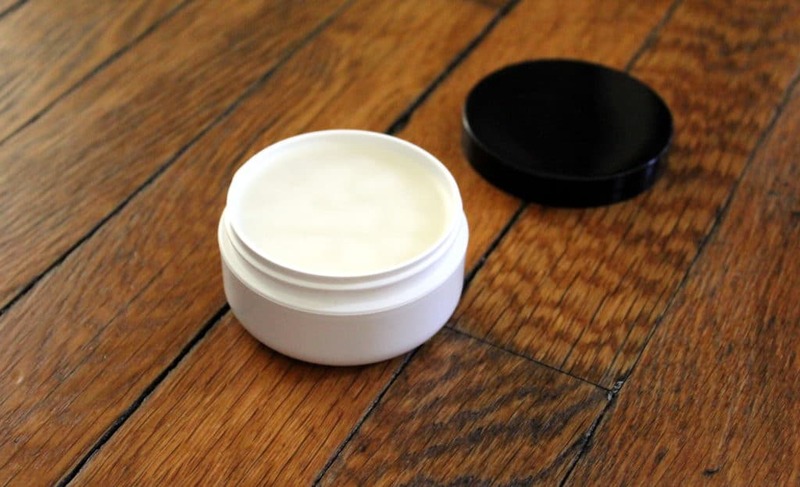 Keep beards neat and tidy with this fantastic homemade beard balm. Shopping for gifts for men can be hard. Shopping for gifts for your dad? Well, that can be even harder. However, if any of the men in your life have beards, then you’re in luck. 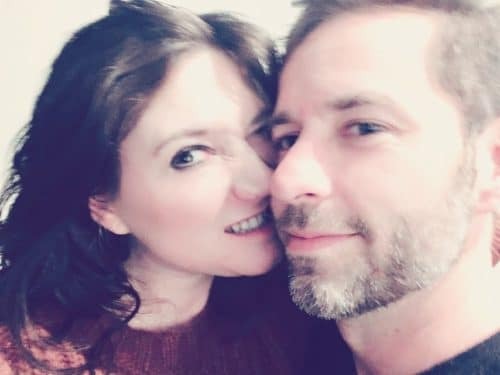 I love this natural beard balm recipe for homemade Father’s Day gifts. However, this recipe is also pretty awesome for other occasions including birthdays and Christmas. And because you can craft multiple containers of beard balm with the ingredients you purchase, it’s easy to create multiple gifts for the holidays. These also make perfect groomsman gifts for an upcoming wedding or event (Check out these beautiful homemade wedding cake recipes, too!). 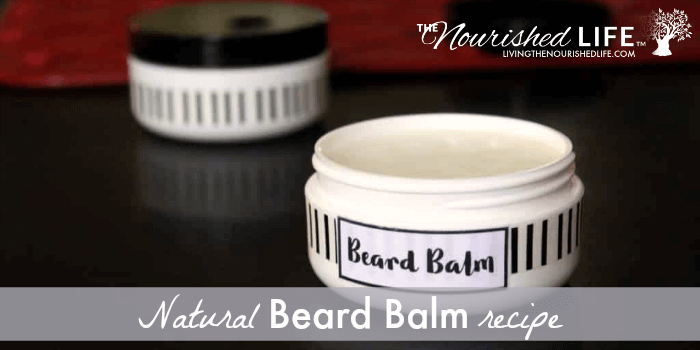 This natural beard balm recipe is made using simple ingredients that are easy to source locally. I found everything I needed for my natural beard balm at my local co-op. The primary ingredients for this recipe are vegetable based carrier oils, beeswax and shea butter. Including a scent in your beard balm is optional. Men with sensitive skin may prefer an unscented product. However, if a fragrance is desired, you can add your own favorite essential oil. Popular essential oil scents for men include cedarwood, patchouli, sandalwood, and fir needle. All of these essential have a natural, more masculine scent. Learn where I shop for high quality therapeutic essential oils online. While beard balms aren’t the same thing as beard wax, because of the beeswax, they do offer some styling hold. This is perfect for dads who don’t quite fall into that delightful hipster category. If they aren’t trying to achieve that perfect handlebar mustache, then this natural beard balm recipe is probably right up their alley. It will keep stray and finicky beard hairs smoothly in place. So beards look neat and tidy rather than haphazard and resembling a bad hair day. 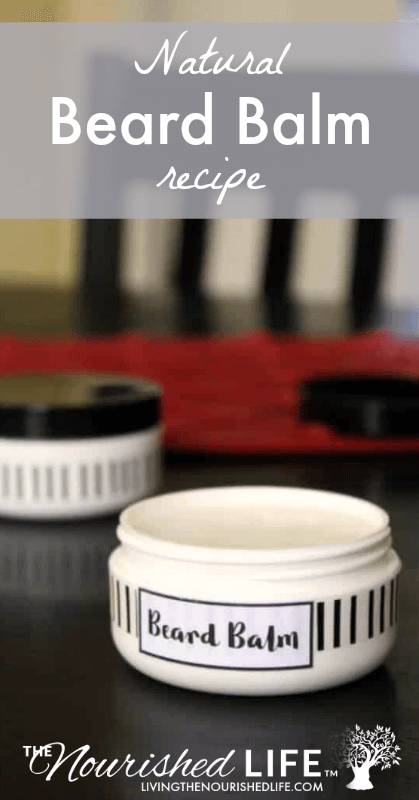 Ready to make your own natural beard balm with beeswax? Simply follow the easy recipe below for the perfect homemade gift! And don’t forget to tell me if you created and liked this DIY beard balm in the comments below! Using a digital scale, weigh out the beeswax, carrier oils and shea butter. Combine the ingredients in a glass Pyrex measuring cup. Then heat the shea butter, jojoba and argan oils, and the beeswax at 50% power until melted. Carefully remove the measuring cup from the microwave using a hand towel. The glass will be hot. Then pour the natural beard balm into a 2 oz. container of your choice. I used a plastic 2 oz. double walled jar for my beard balm. However, you can also use a 2 oz. tin or a small wide mouth glass jar. Allow the beard balm to cool. Once it has solidified, screw on the lid to your container. Now decorate or label your natural beard balm with beeswax. Applying a strip of washi tape around the base of your container is an easy way to add a personal touch. Your natural beard balm is now ready to give as a handmade gift for that special guy in your life! Ready to learn more about essential oils? 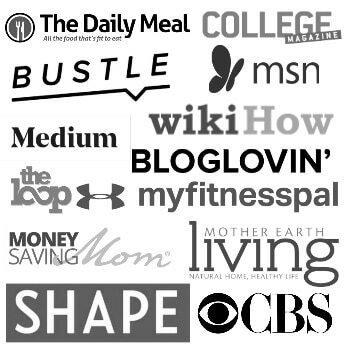 Start my FREE SUPER SIMPLE 9-STEP EMAIL COURSE to start learning – without all the stress! I focus on the absolute essentials (pun totally intended, haha) and keep everything simple. That way you can learn what you need without information overload! Start my free course now. 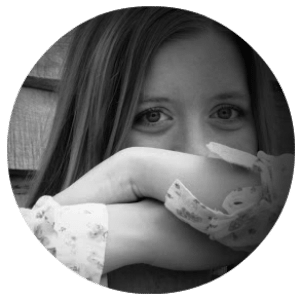 Rebecca Dawn Dillon is a soapmaker, DIY-er and blogger whose life is controlled daily by a dachshund. Find more of her homemade skin care and soap recipes at her blog, Soap Deli News. You can subscribe to Soap Deli News blog here for updates on future DIY projects and skin care recipes.